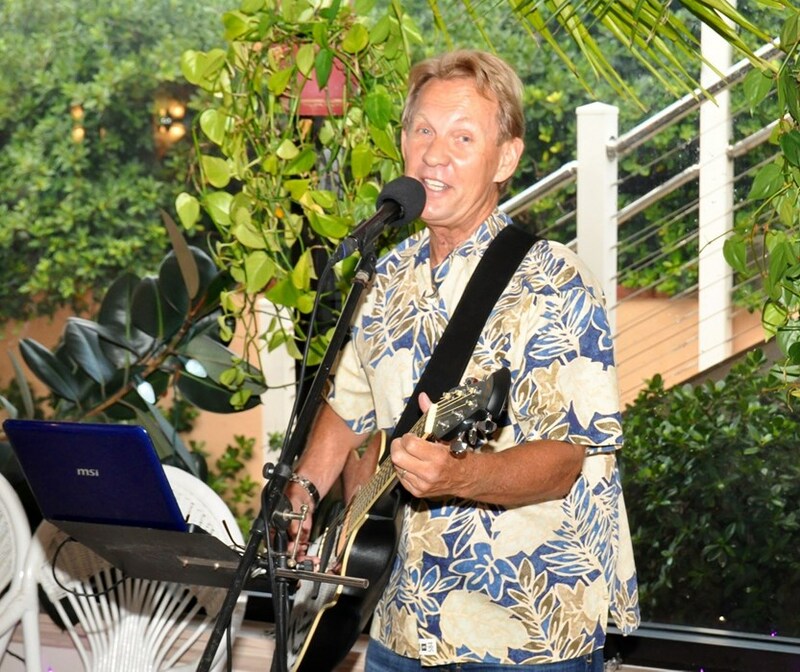 Chris Bates is a five star rated One Man Band, who will keep your party energized with music that you and your guests will love. 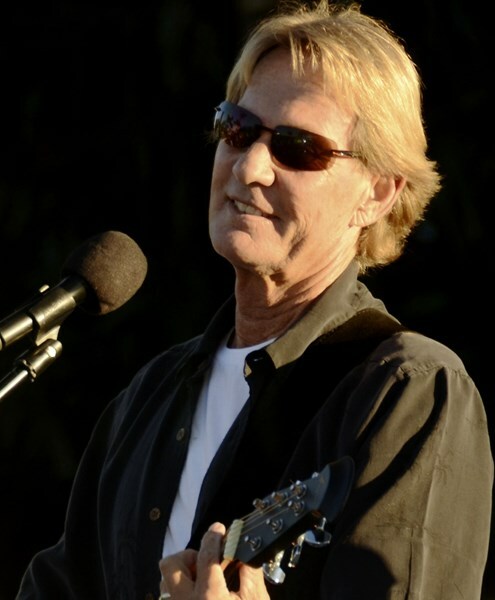 Chris sings and plays guitar along with dynamic backing tracks, creating a full band sound that gets the crowd moving. 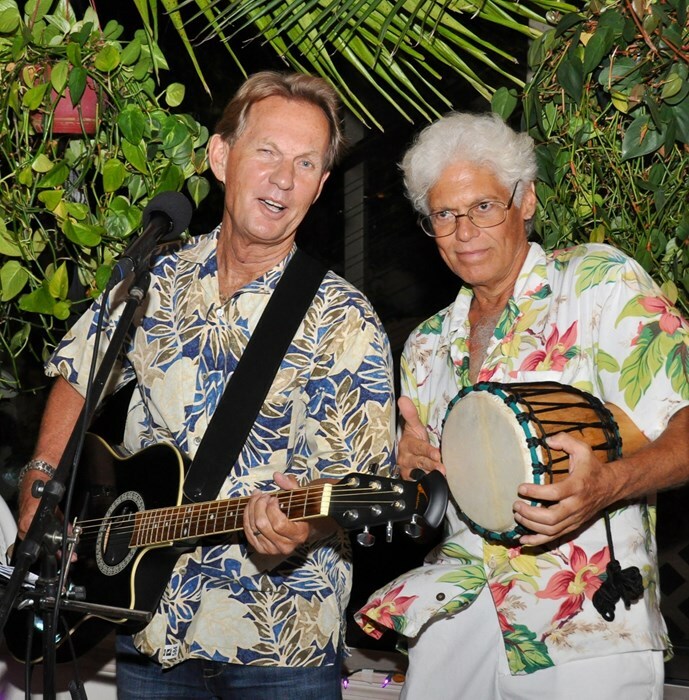 His songlist covers Hits of the 60's - 80's, Tropic Rock/Reggae and Smooth Jazz. Chris spent the last 2 decades playing in the Jupiter, FL area and has brought his talents to Sebastian, FL and the surrounding areas. Check out his videos and client reviews! Chris pays the Gigmasters booking fee for you, so there's no additional charges, and no deposit is necessary to secure your booking. If you have any questions or concerns, send him an email or give him a call. Go ahead and request your free event quotation today ! Click on Request Quote ! I am thrilled that I booked Chris for my birthday party. Chris is very professional, arrived earlier than his scheduled time to allow plenty of time for set up, and made sure the volume was set at the perfect volume. He followed up with me several times to make sure my music selection was perfect. Myself and all of my guests loved the live entertainment. Chris is very talented and has a terrific voice, he sounded great! I highly recommend Chris for any venue! This was my first time using GigMasters and I couldn't be more pleased with the results. I immediately got several bids and chose Chris Bates. From the start, Chris was extremely accommodating and was in touch with me several times leading up to the event. That made me feel very secure in knowing that he was a pro and I wouldn't have to worry on the night of the party. He arrived in plenty of time to set up and do mic checks. His equipment was top notch. He performed many of my special requests and I was very pleased at his performance and professionalism. Most of all, the guests loved him and everyone had a great time!! What a wonderful experience was having Chris at our birthday celebration. He was so professional and nice to have as a performer. Chris arrived with plenty of time to set up and his song selection was just fantastic; he made sure he pleased all the guests with their requests. I even had the chance to sing with him Land Down Under! How fun. We all danced, sang and enjoyed a great time. I would highly recommend Chris for your party anytime. It was so nice to have such a talented musician, who truly enjoyed the party as much as we did. We were so happy to have Chris perform for our wedding celebration. We had a list of special songs that Chris quickly accommodated us with. Our nieces were so delighted to take the mike (standing on a footstool). Chris was also helpful in giving us ideas for certain elements to engage our guests. The latter part of the evening, everyone joined in the Conga dance around the perimeter of the pool. We're completely satisfied customers and highly recommend him. Chris was so wonderful and made our party just a delight. I will definitely retain him again in the future and recommend him to my friends. Chris was a delight. He went out of his way to ask beforehand about my wifes favorite songs. The party was a complete success thanks to Chris. He drew raves from my guests. Will difinately use him again without question!!!!! VERY NICE AND PROFESSIONAL GUY! CHRIS SHOWED UP ON TIME AND WAS VERY ACCOMODATING. HE WASN'T SCARED OFF BY THE BAD WEATHER THAT DAY AND STILL PLAYED UNDER THE OUTDOOR TENT. I WOULD DEFINITELY HIRE CHRIS AGAIN AND NOT HESITATE TO REFER HIM TO OTHERS. Chris was very accommodating, talented, and professional. Added the right touch to my daughter's Graduation Party! Chris is a true professional and was very easy to work with. Chris was a pleasure to work with and was very flexible allowing for our special requests. Please note Chris Bates will also travel to Roseland, Barefoot Bay, Wabasso, Vero Beach, Winter Beach, Fellsmere, Grant, Malabar, Palm Bay, Melbourne Beach, Melbourne, Fort Pierce, Indialantic, West Melbourne, Satellite Beach, Port Saint Lucie, Cocoa Beach, Rockledge, Port Pierce, Merritt Island, Saint Cloud, Kenansville, Cocoa, Cape Canaveral, Okeechobee, Jensen Beach, Stuart, Sharpes, Palm City, Indiantown.